WASHINGTON (AP) — The financially struggling U.S. Postal Service said Wednesday it will stop delivering mail on Saturdays but continue to disburse packages six days a week, an apparent end-run around an unaccommodating Congress. "Our financial condition is urgent," Donahoe told a press conference. The move accentuates one of the agency's strong points — package delivery has increased by 14 percent since 2010, officials say, while the delivery of letters and other mail has declined with the increasing use of email and other Internet services. Congress has included a ban on five-day delivery in its appropriations bill. 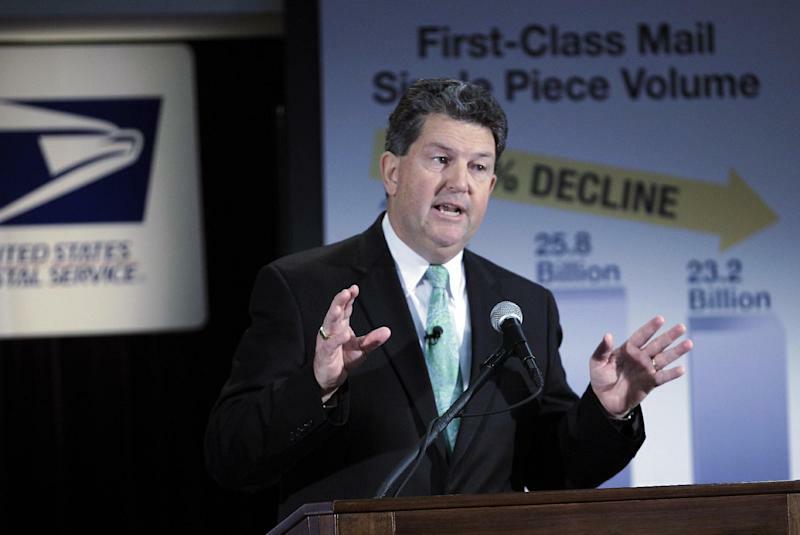 But because the federal government is now operating under a temporary spending measure, rather than an appropriations bill, Donahoe says it's the agency's interpretation that it can make the change itself. "This is not like a 'gotcha' or anything like that," he said. The agency is essentially asking Congress not to reimpose the ban when the spending measure expires on March 27 and he said he would work with Congress on the issue. The agency clearly thinks it has a majority of the American public on its side regarding the change. Postal Service market research and other research indicated that nearly 7 in 10 Americans support the switch to five-day delivery as a way for the Postal Service to reduce costs, the agency said. But the president of the National Association of Letter Carriers, Fredric Rolando, said the end of Saturday mail delivery is "a disastrous idea that would have a profoundly negative effect on the Postal Service and on millions of customers," particularly businesses, rural communities, the elderly, the disabled and others who depend on Saturday delivery for commerce and communication. 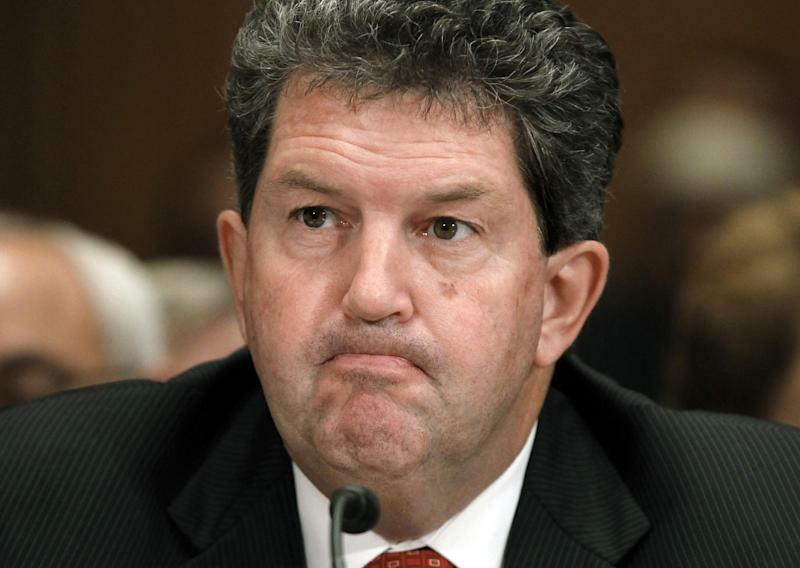 He said the maneuver by Donahoe to make the change "flouts the will of Congress, as expressed annually over the past 30 years in legislation that mandates six-day delivery." House Oversight and Government Reform Committee Chairman Darrell Issa, R-Calif., and Senate Homeland Security and Governmental Affairs Ranking Member Tom Coburn M.D., R-Okla., said in a joint statement that they had sent a letter to leaders of the House and Senate in support of the elimination of Saturday mail. 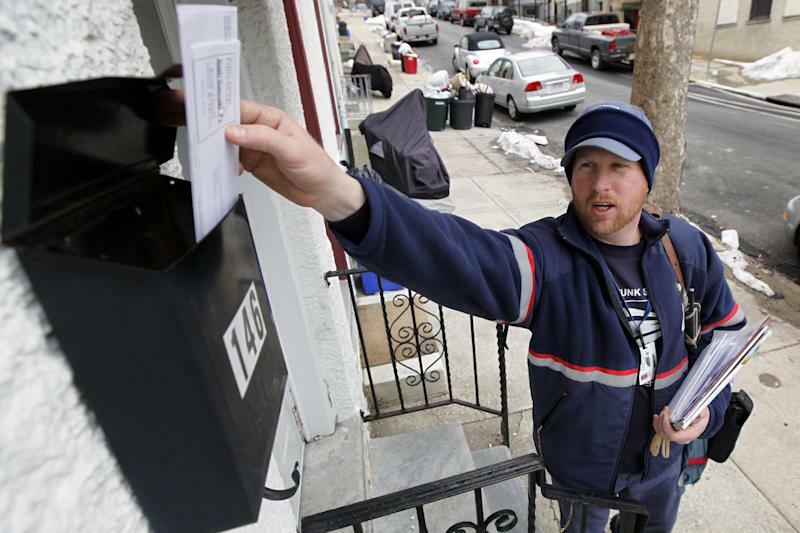 They called it "common-sense reform"
Others agreed the Postal Service had little choice. "If the Congress of the United States refuses to take action to save the U.S. Postal Service, then the Postal Service will have to take action on its own," said corporate communications expert James S. O'Rourke, professor of management at the University of Notre Dame. "It's unclear whether the USPS has the legislative authority to take such actions on its own, but the alternative is the status quo until it is completely cash starved," O'Rourke said in a statement. The agency's biggest problem — and the majority of the red ink in 2012 — was not due to reduced mail flow but rather to mounting mandatory costs for future retiree health benefits, which made up $11.1 billion of the losses. Without that and other related labor expenses, the mail agency sustained an operating loss of $2.4 billion, lower than the previous year. The health payments are a requirement imposed by Congress in 2006 that the post office set aside $55 billion in an account to cover future medical costs for retirees. The idea was to put $5.5 billion a year into the account for 10 years. That's $5.5 billion the post office doesn't have. No other government agency is required to make such a payment for future medical benefits. Postal authorities wanted Congress to address the issue last year, but lawmakers finished their session without getting it done. So officials are moving ahead to accelerate their own plan for cost-cutting.